After losing the location for its 2014 professional haunt, Fear Station returned to home haunting, presenting a decorated yard but not a walk-through. Early in 2018, Fear Station announced that it was in talks to join HorrorWorld, the new multi-maze haunt including Into the Black and The Fleshyard, but this never materialized. Instead, the haunt announced in October that it was going on hiatus and selling off its props and scenic elements. This Halloween attraction had its origins in Shadow Walk Cemetery, a home haunt dating back to 2000. 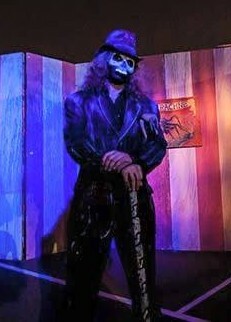 For Halloween 2013, Shadow Walk Productions began collaborating with Stanton City to offer Fear Station, which returned for 2014 with two walk-through mazes and a scare zone. Unfortunately, Fear Station lost its location in 2015. The proprietors planned to return to home haunting, with no word on when or whether they would resume professional haunting. Check out their Facebook page for the latest updates.